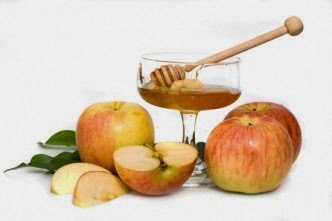 Today is the Jewish New Year, Rosh Hashanah. And I got some wonderful news to start out my new year. Remember that little problem I was having with my liver? Well, I got results from yesterday's blood work, and guess what!?! I'm pleased. I didn't do much other than give up Tylenol and Alcohol. But I'll take it. My kidneys are fine, liver's fine, blood sugar is fine. Cholesterol needs work, but OK - I can make that happen. I am claiming this new year as mine - to do with what I can to make my life better and happier. But most of all, healthier. I maintain that I'm one of the luckiest people in the world. But I need to earn some of my good fortune.